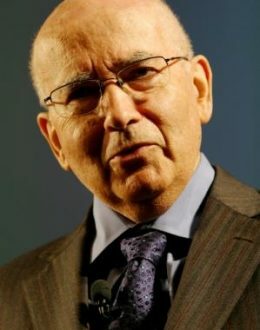 In 1975, Kotler was the first person to receive the „Leader in Marketing Thought” award voted on by the academic members of the American Marketing Association. On February 16, 2013, he was the first recipient of the William L.Wilkie „Marketing for a Better World” award from the American Marketing Association to „honor marketers who have significantly contributed to the understanding and appreciation for marketing’s potential to improve the world.” Also, in 2013 he was the first recipient of the Sheth Foundation Medal for Exceptional Contribution to Marketing Scholarship and Practice. He has authored what is widely recognized as the most authoritative textbook on marketing: Marketing Management, now in its 12th edition. He has also authored, or co-authored a number of other leading books, including Kotler on Marketing; Lateral Marketing; Strategic Marketing for Non-Profits; Marketing for Healthcare Organizations; Marketing Professional Services; Marketing From A to Z; The 10 Deadly Marketing Sins; Marketing Moves; Marketing places; the Marketing of Nations; and Social Marketing. In addition, Dr. Kotler has published more than one hundred articles in leading journals, including the Harvard Business Review, Sloan management Review, Business Horizons, California Management Review, and the Journal of Marketing. He holds many major awards, including the Distinguished Marketing Educator of the Year Award of the American Marketing Association and Marketer of the Year by the Sales and Marketing Executives International (SMEI). Dr. Kotler has consulted to many major U.S. and foreign companies – including IBM, Michelin, Bank of America, Merck, General Electric, Honeywell, and Motorola – in the areas of marketing strategy and planning, marketing organization, and international marketing. He presents continuing seminars on leading marketing concepts and developments to companies and organizations in the U.S., Europe and Asia and participates in KMG client projects. Kotler has received 14 honorary degrees from around the world.